A memorial service for Marcie (McNeil) Richard, formerly of Sunnyside, Reserve Mines, will be held at 11 a.m., Saturday, July 24, 2010 at Gordon United Church, Reserve Mines. A light meal will follow in the basement of the church. 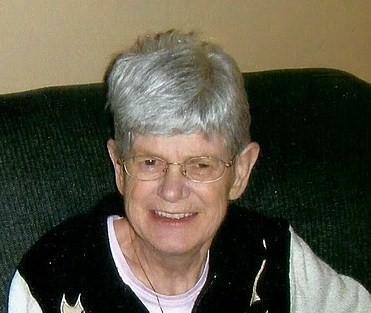 Marcie passed away at the St. Lawrence Lodge, Brockville, Ont. on Friday, Oct. 9, 2009 at the age of 67. She is survived by son, Michael (Marianne) Richard; grandchildren, Chelsee, Colby and Colin; great-granddaughter, Shaylyn; siblings, Mary Jane 'Bea' (David) Brown of Bedford and Philip McNeil, Reserve Mines. She was predeceased by infant daughter, Claudette; parents, Art and Hazel McNeil and brothers, Howard and Roy. She is also survived by her husband, Ted Richard and numerous nieces and nephews. An invitation is extended to all Marcie's family and friends to take the opportunity to say farewell. Her family wishes to extend thanks and appreciation to the members of Gordon Church for donating their time, effort and facilities. This enables us to close the circle of her life at the church which Marcie attended throughout her youth. A brief interment service will be held for the family at Forest Haven on Friday, July 23 at 1 p.m.